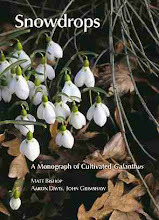 My blog entry from last week on the record price fetched by Galanthus plicatus 'E.A.Bowles' seems to have been widely read and has been picked up on by the press. Unfortunately, innacuracies have crept into the accounts given by The Mail on Sunday (here), the website thisismoney (both written by Toby Walne) and elsewhere, especially an article on http://www.thisisgloucestershire.co.uk/. This claims that the bulb sold was produced at Colesbourne Park, which is not the case. G. plicatus 'E.A. Bowles' was discovered at Myddelton House, Enfield, (the former home of E.A. Bowles, 1865-1954) in 2002 by Michael Myers, and was immediately recognized to be an exceptional variety. The garden, run by Lea Valley Parks, made an arrangement with Joe Sharman of Monksilver Nursery that allowed him to propagate the plant in exchange for a royalty on each plant sold. This arrangement has been faithfully adhered to, including the Ebay sales last week, although by error it was stated (and repeated in my post) that the recipient of the funds would be the E.A. Bowles of Myddelton House Society. Andrew Turvey, Head Gardener at Myddelton House, wishes it to make it clear that the funds are actually paid to the garden, not the society. A new record was set this week when a single Galanthus plicatus ‘E A Bowles’ snowdrop bulb was sold for £357 at auction. 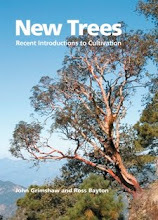 Two thirds of the profits from the sale will go towards the current restoration project at Myddelton House Gardens, the original gardens and home of renowned plantsman and horticulturalist Edward Augustus Bowles. The Gardens were awarded a Heritage Lottery Fund Grant of nearly £500,000 in 2009 to return them to their former Victorian glory. This will be the first flower show in the Gardens since Mr Bowles’ death in 1954. The event runs from 12:00 – 16:00 and also includes a Snowdrop and Hellebore Guided Walk by a Senior Gardener, from 13:00 – 15:00. Booking is essential via www.leevalleypark.org.uk or 08456 770 600. Myddelton House Gardens, Bulls Cross, Enfield, Middlesex, EN2 9HG, is part of the 10,000 acre, 26 mile long Lee Valley Regional Park. The Gardens boast a diverse plant collection, beautiful carp lake, conservatory, rock garden and a number of historical artifacts. Myddelton House Gardens Early Spring Flower Show is being held in conjunction with the British Irish Society. It is the first flower show to be held within the Gardens since the death of Mr Bowles in 1954. The prized bulbs have been multiplied by Monksilver Nursery. Auctioning rare plants is a great way to raise money for garden restorations, especially with a prized snowdrop from the property itself. I wish I could attend the festivities when the other five plants are sold. I hope you will report on the price. But when all is said and done (and read) the bulb has we hope gone to a good home - and the money certainly has! If you go to the Show, can you get some pics for us? You have made the front page of the Telegraph today - it claims that you bred the bulb - and they've got the price wrong. You really can't believe what you read in the papers, can you?